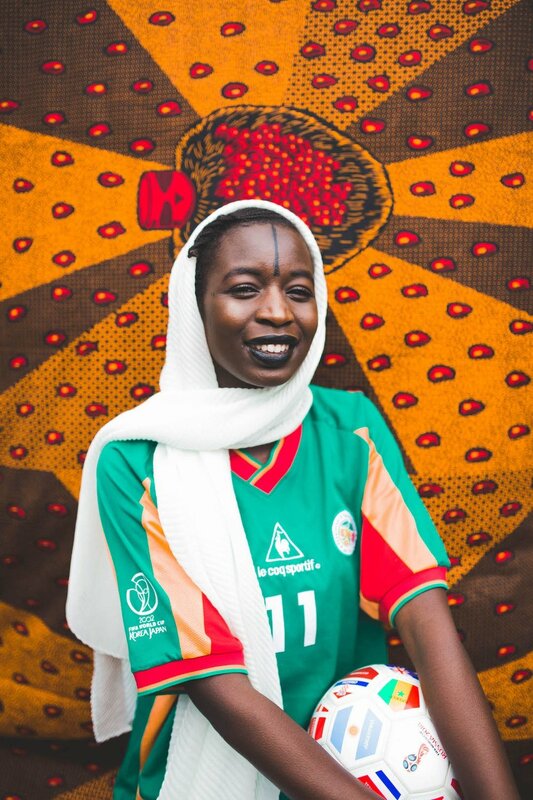 A project & photo series themed around the FIFA World Cup 2018, highlighting five first and second generation immigrant women living in the UK today. Exploring the topic of dual nationality and how they both intertwine to create one identity. The project explored culture, gender and identity through sport whilst profiling women with roots from the five qualifying African nations. The fact that British born descendants of ethnic minority immigrants represent over a third (almost half) of the country’s ethnic population, but somehow these cultural stories are rarely represented in the media in an authentic way. Every day, young ethnic minority women in the UK navigate their dual cultural identity – trying to balance their cultural heritage with being a person raised in the UK today. So, what I decided to do, is use this unifying and joyous moment that the world honours to celebrate these women and their individuality – discovering how they express their dual identities through style, beauty and words in a way that is authentic to them and recognisable by others like them. For me, it was important that I focus on my passion for culture and the African continent by selecting the five nations that made it through the FIFA tournament (Nigeria, Morocco, Tunisia, Senegal & Egypt). This is a moment I wanted to intentionally exploit, celebrating diasporas getting acquainted and connected back to their roots was key, sparking perhaps interest and a journey of discovery. There are many layers and nuances to this project but together they serve a powerful cultural message. I thought The World Cup was a good place to explore these ideas because it’s a unique celebration that brings people and nations together across the globe for a moment – that’s what makes it distinctive and special. Additionally, dual nationality is a major topic within FIFA amongst many of the players especially within teams like France, England and many more.